Hi everyone and welcome back to Orange is the New Black where things were devolving rapidly and I wasn't...really...digging. Rolling S4:E10 People Persons after the break! Hola amigas! 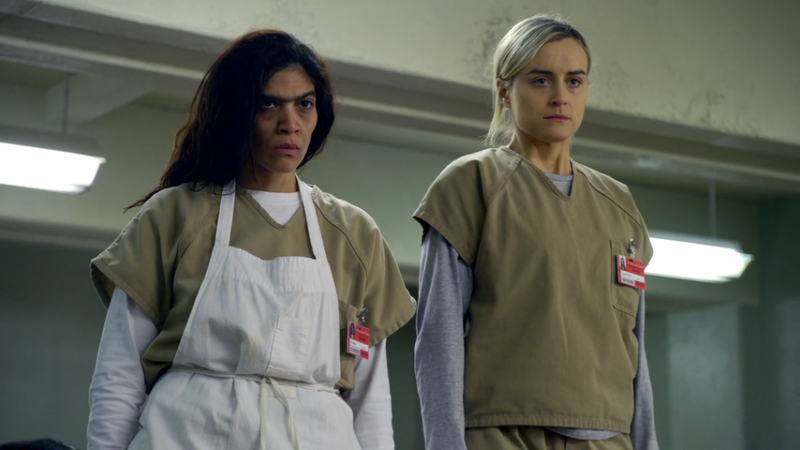 Welcome back to Orange is the New Black after a wee hiatus; let's see what's happening with our Litchfield ladies as I creep ever so slowly through season 4.